Dalhart, Texas, is the place and Thursday and Friday are the dates for the 19th Annual S.P.I.R.I.T. (Southwest Passage Initiative for Regional and Interstate Transportation) Conference. All citizens interested in safe, efficient highways should attend. This includes city and county officials, state and federal legislators, economic development directors, tourism and chamber of commerce members and trucking officials. Beginning at 6 p.m. Thursday, a fun and informative reception will be conducted at the XIT Museum. This will be a great chance to greet old friends and meet new ones while enjoying good food and local entertainment. Friday, beginning at 8 a.m., late registration and a continental breakfast will be available at the Frank Phillips College, across the block from the XIT Museum. The conference will begin with welcomes from officials and video welcomes from other dignitaries. Michael Reeves, who is President of Ports-to-Plains Alliance, will give a report on the success of upgrading their north to south route from Canada to Mexico. This important route intersects U.S. Highway 54 at Dalhart and Stratford, Texas, where traffic from both corridors mingle. Participants will hear a presentation by Oklahoma State Representative Gus Blackwell, followed by a panel discussion by DOT representatives from the four states: Ron Johnston, Amarillo District Engineer; Ron McDaniel, Oklahoma Division 6 Enginee; Ralph Meeks, New Mexico District 2 Engineer; and Larry Thompson, Kansas District 6 Engineer. They will give an update on the progress and plans for U.S. Highway 54 from Wichita to El Paso, Texas. For more information, call S.P.I.R.I.T. 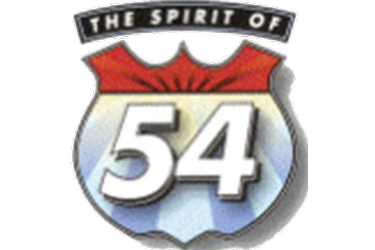 at 620-624-1540 or email at [email protected] See the new website spiritof54.com.